Some of our most popular pieces of bridal jewelry are vintage styled and antique inspired pieces. Many customers are choosing antique engagement rings or engagement rings that mimic the style of vintage engagement rings. 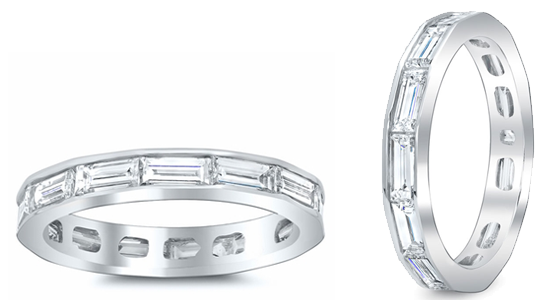 Halo engagement rings and double halo engagement rings in particular have gained popularity. 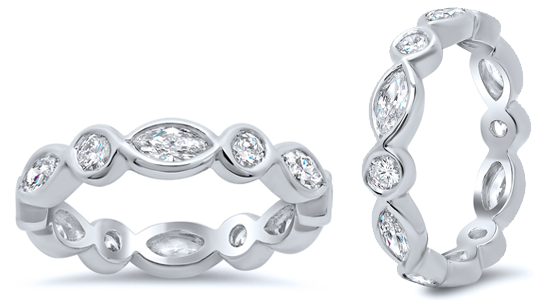 To complement these types of engagement rings, we have designed a flourish of vintage style wedding bands. I have selected just a few of my favorite antique wedding bands from deBebians. 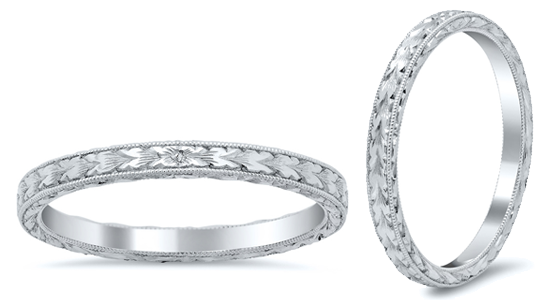 This diamond wedding band features diamonds half-way around the ring and traditional hand engraving. The 2mm width allows this ring to be worn alone, paired next to an engagement ring, or even stacked with other diamond bands. Emerald cut diamonds evoke the time-honored past. The step-cut diamonds are elegant and add subtle sparkle to the wearer’s set. 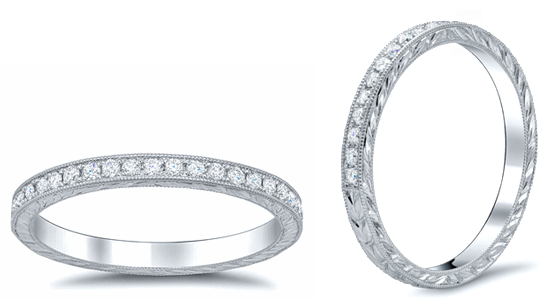 This eternity ring features both round brilliant cut and marquise cut diamonds. The alternating diamond shapes gives the ring a clean, unique look and allows this ring to pair flawlessly with an array of different engagement ring styles. For the woman that prefers a less showy option, this plain band with hand engraving is a wonderful addition to any woman’s jewelry collection. This ring is available in 14 karat white, yellow, or rose gold.